As a co-founder of South Coast Commercial, Inc. and founding member of our sister company, North Coast Commercial, Inc., Kevin Hemstreet has been an integral player on our team from the very beginning. Prior to forming South Coast Commercial, Inc. in 2007, Kevin was a tour de force in real estate, spending 18 years as a regional manager and working as a top-producing sales manager at two Fortune 500 companies. Today, he continues to apply his skills and expertise as our Senior Vice President and Managing Principal. Kevin brings not only extensive experience to the team, but also exceptionally strong communication skills and an understanding of how to effectively lead others to produce real results. In addition to his leadership role, Kevin also oversees daily operations and management of over 2,000 multifamily and commercial assets throughout California. With over one billion dollars in sales of investment property over the past twenty years, his track record speaks for itself. Kevin takes a progressive sales approach that melds a unique style of asset management with a solid emphasis on portfolio development. A nationally recognized expert in the single-tenant triple-net arena, he’s an invaluable resource for those who wish to invest in real estate without actively managing a property. He is also skilled at crafting individualized 1031 exchange packages, which take into account provisions in the tax law to increase cash flow, optimize tax shelter opportunities, and create tremendous wealth for his clients. 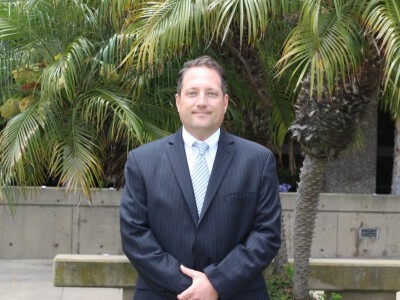 Kevin is a member of the local San Diego chapter of the Certified Commercial Investment Member (CCIM) organization, a national body that certifies recognized experts in the disciplines of commercial and investment real estate. He is also a member of the Urban Land Institute (ULI), which provides leadership in responsible use of land and creating sustainable communities worldwide. In his free time, Kevin loves to go backpacking and sports fishing. He has a passion for travel and has also been known to play to SRO crowds as percussionist in a local band.